She has handled the ups and downs of the British tabloid press with cool aplomb and always looks her best. She’s the first non-aristocrat to marry the future king of England, and we look forward to being charmed by her style. The NYT says, “Woody Allen Charms Cannes.” Allen’s latest film, a love letter to Paris, opened the film festival. 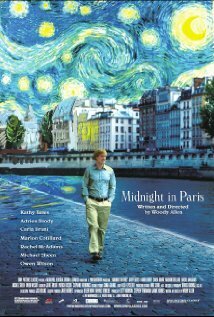 This romantic comedy tells the tale of an engaged couple travelling to Paris who come under it’s spell and wonder if there is a life better than theirs. 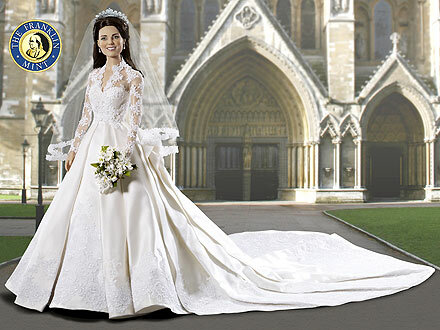 The Franklin Mint Kate Middleton doll has not overlooked any detail. According to their website,”From the sparkling Scroll Tiara…to the delicately hand-applied floral laces on her bodice to her amazing satin train.” And her engagement ring and wedding band!